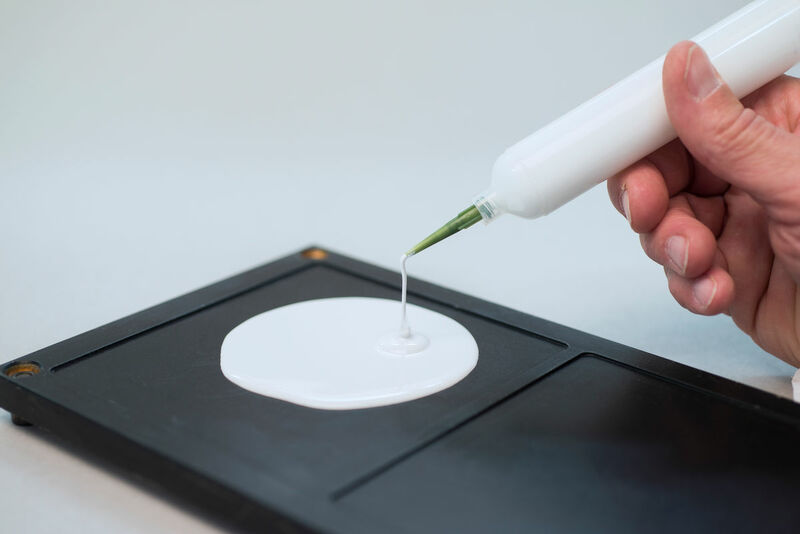 Epoxy resin casting compounds compel through a variety of processing features and properties of the cured material. The consistency here ranges from water-thin to paste-like. The insulating material produced from it, e.g. for high-voltage applications, is characterised by excellent electric parameters. On the one hand, they offer flexibility to protect pressure-sensitive components, and on the other hand they have a high strength and temperature stability for automotive applications. These optimised epoxy resin casting compounds are very suitable for automated processing in production lines. Flame-resistant casting compounds (EPOXONIC 241, EPOXONIC 235). Casting compounds, e.g. for sensors, ferrites, transformers, relays or high-voltage components (EPOXONIC 344).